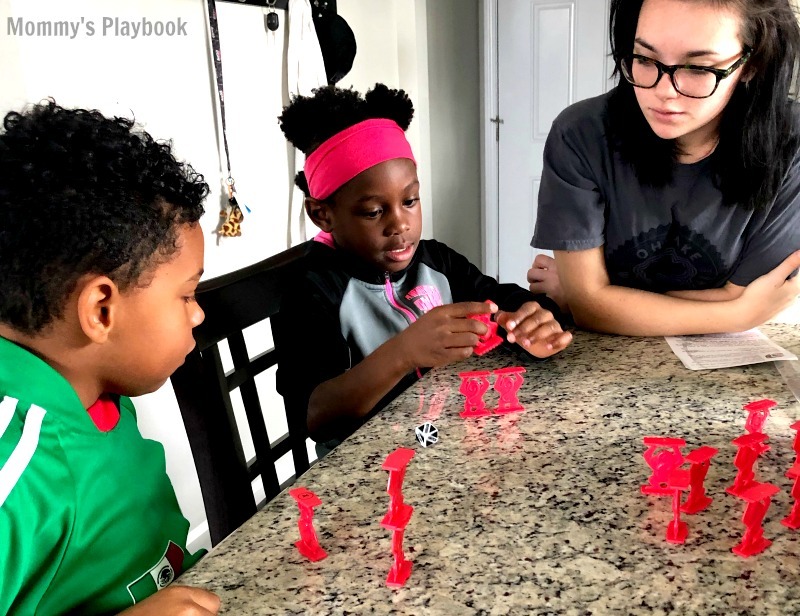 Playing board games is a wonderful time-honored childhood right-of-passage, but why not get your children games that are not only fun, but educational too? 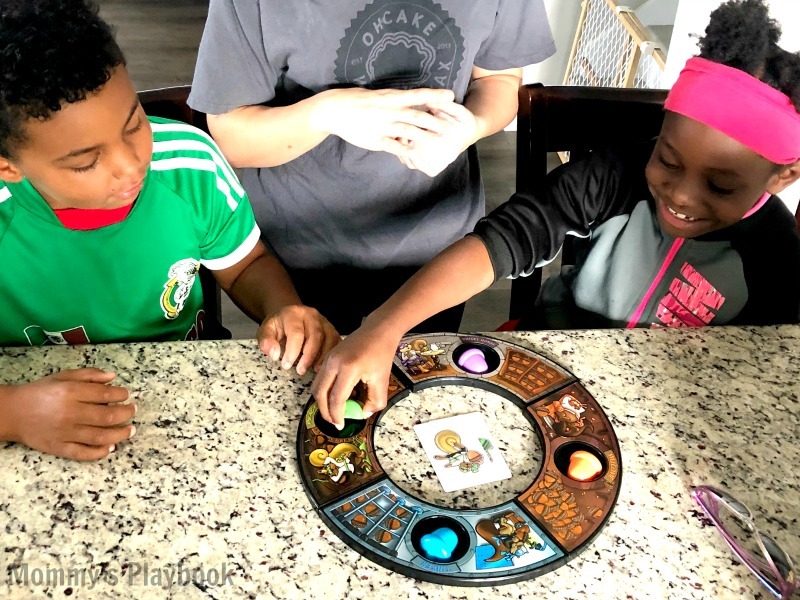 Roosterfin Games are so much fun, they have easy rules, but also, they teach our little ones important skills such as colors, numbers, counting…and the most important to me: sharing. Rooster Race brings me back to when I was a little kid playing with an ordinary deck of cards, hoping my card was HIGHER than my sisters. The best thing is the RoosterFin took this game to the next level. This game is played either single or multi-player. The object is to gather more pieces of corn than any other player. There will be a card face up and the player has to guess if their card will be higher or lower than the face card. If the player guesses correctly, a cobb of corn is awarded. If the player is wrong, a piece of corn from their pile goes back into the cornfield. The player with the most corn after all the cards are flipped, wins! Little ones will love the ease of play while learning numbers. Description: Help your roosters gather corn in this high low game of fowl fun! 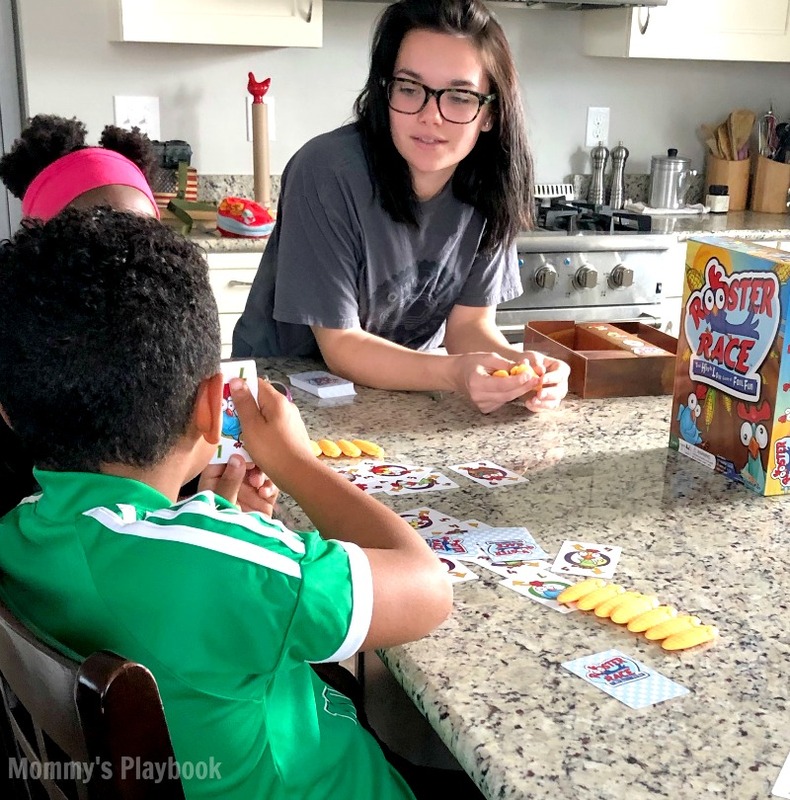 Rooster RaceTM is a fun simple card game that suits all ages, from kids, teens, college students, parents, and grandparents. If you can count to 15, you can play Rooster RaceTM. The object of the game is to make educated guesses; to predict if the value of the top card in your card stack is higher or lower than the last card played by your opponent. If you have ever played war or blackjack, Rooster RaceTM will be your next card game favorite for a family game night! Contents: 72 Rooster Cards 15 Corn Pieces Simple Instructions. Want a fast-paced, card flipping, acorn stealing good time? Ninja Squirrels is the game that you have to be quick. You flip cards until you and an opponent flip over the matching Squirrel/Color card. At that time, the first one to grab the matching colored accord on the playing ring gets to keep it and card flipping resumes. The youngest player goes first and the game is won when either all the cards have been flipped or all of the acorns have been gathered. Kiddos and parents alike will have a good time playing with the Ninja Squirrels. Monkey’s Up received the 2017 Game of the Year Award by Creative Child Magazine! This game is cute and fun. Little ones will love stealing monkeys from other players, getting the highest points and learning not only counting skills but they also learn how to play with others in this monkey-fun filled game. The player with the most points wins! A neat twist to this game is it can be played with others or a single player. The whole family will get into stealing, flipping, switching and reversing the little red monkeys. Learn to Play—>Watch RoosterFin on YouTube! Are you an avid Amazon shopper? Find Prime Eligible RoosterFin games on Amazon too! I think my son would love the Wizard Roll. These games look like fun. Great gift ideas!